We know how important it is to have a dentist that you can trust and depend on to provide the essential oral care you need. Keeping your teeth clean and gums disease-free is vital for your long-term health. At Elmsleigh House Dental Clinic, we offer dental hygiene to patients of all ages. Our team includes dentists that cover the full range of treatments as well as three hygienists, which means you get everything you need under one roof. Working in partnership with your dentist, our hygienists play an essential role in the successful prevention and treatment of gum disease. They will closely monitor the health of your mouth, thoroughly deep clean your teeth and offer advice on how to maintain good dental hygiene at home. Our hygienists provide patient-oriented treatment, and their approachable manner generally puts nervous patients at ease. During your dental hygiene appointment, your hygienist will ask you about any problems or concerns, discuss your medical history and oral health, and check the appearance of your teeth and gums. Your teeth will be thoroughly cleaned and polished, removing any plaque bacteria, hard deposits (calculus) and staining. An important aspect of the hygienist’s role is to show you how to look after your teeth so they remain free from plaque. 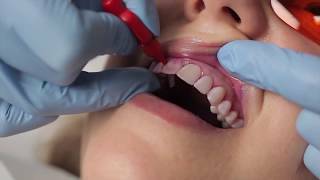 You will be advised on the best tooth brushing technique and given tips on flossing and using interdental brushes. Our hygienists can offer extra protection to children and adults by applying fissure sealants to the biting surfaces of healthy teeth, giving a smooth, protective surface that is easy to clean. 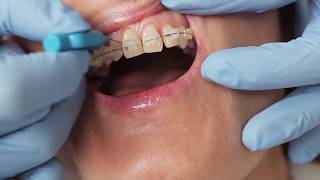 Our hygienists can offer specific advice and hygiene care if you have a bridge, denture, orthodontic treatment or a dental implant, ensuring your teeth and gums remain healthy throughout your treatment. Your dentist and hygienist will recommend a schedule of hygiene treatment tailored to your individual needs, with treatment times available from thirty minutes up to one hour. Take ownership of your oral health today by scheduling an appointment with us. We look forward to helping you. Click to read our cold sore advice. Click below to read our latest dental hygiene brochure.